Why does Dario need access part of my phone like my microphone, contacts and location? 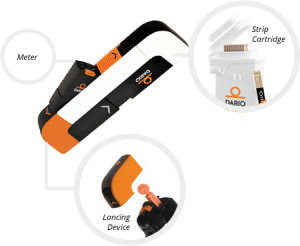 In order for the Dario to work with your SmartPhone, the app needs access to certain parts of your phone – like the microphone and audio jack. 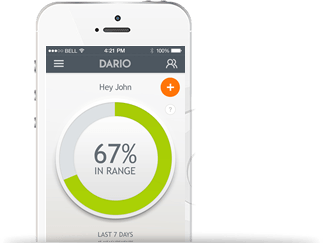 Dario also needs access to your contacts so you can easily send a hypo alert or sent your results to your healthcare team. Your location is needed if you want to chart where you are or alert someone to where you might be if you are having a hypo. Your data is stored in our secure “cloud” server and is compliant with HIPPA and other international privacy laws. How can I share my results and logbook? Sharing your results is easy. Tap on MY DIABETES RESULTS > Tap on LOGBOOK & CHARTS > Then tap on the icon with three connected dots next to the plus symbol. SHARE LOGBOOK will appear on your screen. You can tap the gray plus symbol next to the “TO” to enter an email address from your phone’s contact list and select the time frame of reading you would like to send. You can do this in a PDF file, CSV. or PDF Summary. What happens if my smartphone runs out of battery? How can I take a measurement? It is important to keep your phone charged or to have a backup battery for your phone. You can always ask a friend nearby with a compatible smartphone to download the app so you can take a blood glucose reading. You can just use your email and password to log in. Just remember to delete the app or log out of your account from their phone in order to keep your data secure. Does my Dario sync data automatically? As long as you have a good connection to Wi-Fi or data, your Dario should sync automatically. If you want to manually sync your Dario, you can do so by tapping on SETTINGS > ACCOUNT > INFORMATION > Sync Account. Is Dario integrated with Apple Health Kit? Yes, Dario is integrated with Apple Health Kit. From the Dario App, just go to SETTINGS > CONNECTED APPS to complete the integration. Which apps are integrated with Dario? Dario is currently integrated with RunKeeper and Apple Health Kit. More are apps are on the way! How can I manage the measurement reminders? The Dario app can remind you to test your blood glucose. You can set your own preferences in the Dario app by tapping on MANAGE MY GOALS > MY REMINDERS. You can set it to 1 hour, 1.5 hours, 2 hours, 2.5 hours, 2.5 hours, 4 hours, and 6 hours. Does Dario calculate my insulin dosage? The Dario App insulin calculator is not available in the USA. Darn it! I accidentally deleted my app. Did I just lose all my data? If your phone has been connected to Wi-Fi or data, then the data should automatically sync. No need to worry! You also have the option to manually sync your Dario app in your Account Settings. Can I edit or delete my entries? The ability to edit or delete your blood glucose reading varies by region and depends on your country’s regulations. Please check with your local distributor. To edit or delete and entry tap on MY DIABETES RESULTS > Tap on LOGBOOK & CHARTS > Swipe to the right on the entry you want to change. Tap on the X to delete. Tap on the pencil icon to adjust the measurement. Be sure to tap on the check mark in the upper right hand corner to save your entry. What kind of information does the Dario record for me? In addition to your blood glucose levels, you can log your daily carb and calorie intake, insulin doses, physical activity, and mood. If you want to log something that is not in the previously mentioned categories, you can jot down whatever you like in our notes section. I’ve forgotten my log in and password, but I need to take a blood glucose reading now. Can I measure my blood sugar without logging in? Yes, you can take a reading without logging into the Dario app. After one failed log in attempt, you can tap on “unregistered measurement” and be brought to the data entry screen. After three failed attempts, you will automatically be brought to the screen “Log In Failed” and you will be asked if you want to take an unregistered measure. If you want to add your measurement in later to your daily statistics, be sure to take a screen shot so you have a recording. Because you are not logged in during the measurement it will not be saved in your logbook. How can I rest the password on my Dario App? I’m having trouble logging into the Dario App…What Can I Do? Make sure that you are entering the correct email address and password. If you signed up with Facebook, you can try to log in with the default email address that is linked to your Facebook page. If this doesn’t work, underneath the “Log In” button, tap “FORGOT PASSWORD” to reset your password. You will receive an email to reset your password (check your spam folder if you don’t find it).